Back in July 2007, as she began her second stint at MSNBC joining the nascent morning show hosted by Joe Scarborough, Brzezinski famously refused to read a news story about Paris Hilton. She went as far as ripping up her script after threatening to burn it with a lighter when producers wanted to lead the news with a story on the then-hot debutante. Well, a lot can change in seven years. 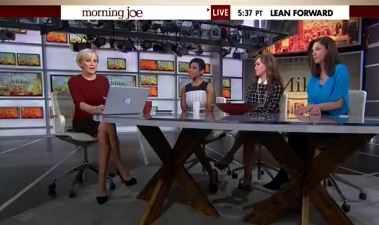 Today “Morning Joe’s” final half hour was branded “Mika.” An all-female roundtable (actually oval) led by Brzezinski that leaned heavily on pop culture. Topics included the plus-sized model appearing in Sports Illustrated, Kate Winslet’s baby weight and the upcoming Jason Lee movie “Cocked.” Brzezinski was joined by Sara Gore and Jacque Reid who co-host New York Live on WNBC, and “The Cycle” co-host Abby Huntsman. 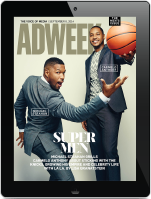 In another segment she was joined by the founders of the wildly popular online newsletter TheSkimm. Danielle Weisberg and Carly Zakin happen to be former NBC News associate producers. Scarborough monitored from the control room, chiming in on occasion. It’s not known if this is semi-permanent, or just a one-day experiment. 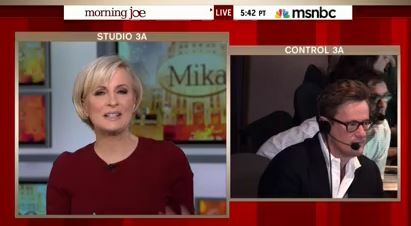 “Mika” is also reminiscent of the first show Brzezinksi anchored at MSNBC in the early 2000s. 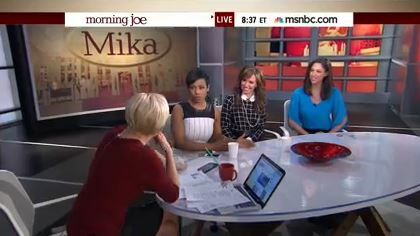 “HomePage,” was co-hosted by Mika, Ashleigh Banfield, and Gina Gaston. The segment from 2007, when Brzezinski was still campaigning for real news, can be seen below.